A fire knocked out production at one of Ford's suppliers. The shortage of parts could knock out production of Ford's best selling and most profitable vehicle, the F-150 pickup truck. With key components about to run out, Ford F is pulling the plug on production of its most profitable and popular model, the F-150. Both assembly plants are unable to continue building the F-150 pickup truck due to a lack of critical components supplied by Meridian Lightweight Technologies. An explosion and fire at Meridian's facility in Easton Rapids, Michigan, last Wednesday completely knocked production of components used in the instrument panel of the F-150. The components shortage has also prompted Ford to stop production of the F-Series Super Duty pickup at its production plant in Louisville, Kentucky. 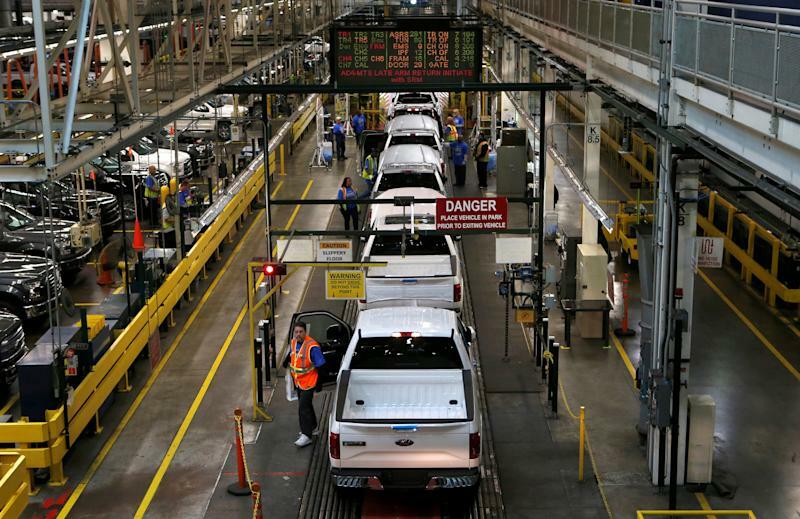 Tuesday afternoon the United Auto Workers alerted members who build the F-150 at the Dearborn Truck Plant that production could be stopped later this week. "The company doesn't know when or for how long we will be down," wrote Burkie Morris of the UAW in a letter to members. A spokesperson for Ford tells CNBC, "We are working closely with the supplier to manage the situation." How much could stopping production of the F-Series hurt Ford and dealers who rely on the popular pickup truck to generate huge sales? That depends on how long the assembly lines are shut down. "It takes 76 days for an F-150 to sell, so the company does have a bit of a cushion," said Ivan Drury, Edmunds senior manager of industry analysis. "But when you have a vehicle that comprises a quarter of your company's sales, any production disruption is going to cause some consternation." Last month Ford sold 73,104 F-Series pickups, with the overwhelming majority of those being the F-150 according to company sales reports. Meanwhile, the automaker ended April with nearly a quarter million trucks on the ground at dealerships, a high percentage were F-150 models. That inventory will keep Ford dealers stocked for several weeks, though an extended halt to production could be problematic for the automaker and painful for more than 7,600 workers.